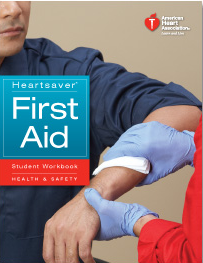 American Heart Association First Aid is designed for the general public. It provides quick, simple & effective procedures for properly handling simple injuries or life threatening illnesses. Participants will become familiar with the local 911 and emergency medical systems. They will be given instructions on handling emergencies such as injury, heart attack, stroke, seizures, diabetic emergencies, drowning, burns, electrocution and other medical & injury related complications.